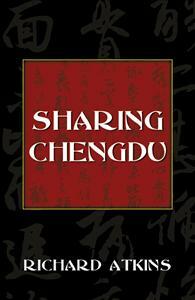 Sharing Chengdu is the peculiarly written, fictional story of how some very old proverbs made their way from China, to the United States, and ultimately to publication. Sharing Chengdu is the peculiarly written, fictional story of how some very old writings made their way from China, to the United States, and ultimately to publication. The details of the story are brief, for many of those details are not fully known. The format of the book is devoted to the display of the proverbs and poems, which offer guidance on the daily struggles of self and others. These written treasures are accompanied by illustrations from Bob Savannah, an artist from the U.S. Fish and Wildlife Service.